Leuven and Antwerp are in the running to be named European Capital of Innovation in 2018. The two cities appear on a shortlist of 12 contenders for the iCapital title, released this week by the European Commission. The winning city gets a prize of €1 million, with five runners up each receiving €100,000. This is the first time that any city from Belgium has featured among the finalists. The other contenders this year are Aarhus, Athens, Bristol, Gothenburg, Hamburg, Lisbon, Madrid, Toulouse, Umeå, and Vienna. "It is a great honour to be on the list of the 12 most innovative cities," said Mohamed Ridouani, the Leuven city councilor responsible for education and the economy. "We are the smallest city competing for the prize, but we work very hard every day, with many different people, to make Leuven the most sustainable, social and prosperous city in Europe." 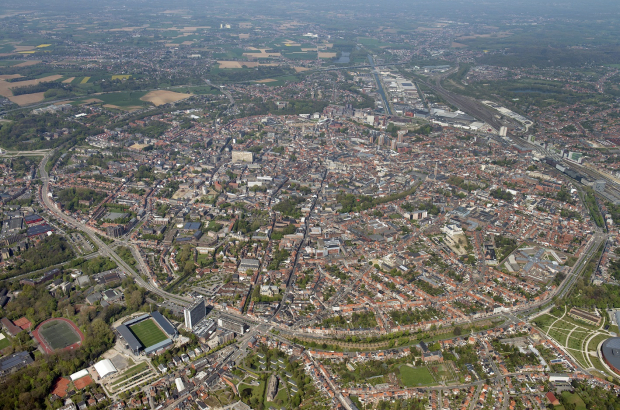 Leuven's bid was submitted by the City, Leuven 2030 and Leuven MindGate. Now on its fourth edition, the iCapital competition looks for the European city that can best demonstrate its ability to harness innovation to improve the lives of its citizens. Contenders must have an open and dynamic innovation ecosystem, involve their citizens in decision-making, and use innovation to improve the resilience and sustainability of the city. Applications are judged by a panel of independent experts from across Europe, looking at initiatives completed or ongoing in the past two years. Past winners of the title are Barcelona, Amsterdam and Paris, all now required to watch from the side-lines. However past runners-up can reapply, and both Vienna and Aarhus are having a second go at the competition. The next stage is for the finalists to present their innovation strategies during the European week of regions and cities, which takes place in Brussels in October. The shortlist will then be narrowed down to six cities, with the winner announced on 6 November in Lisbon.